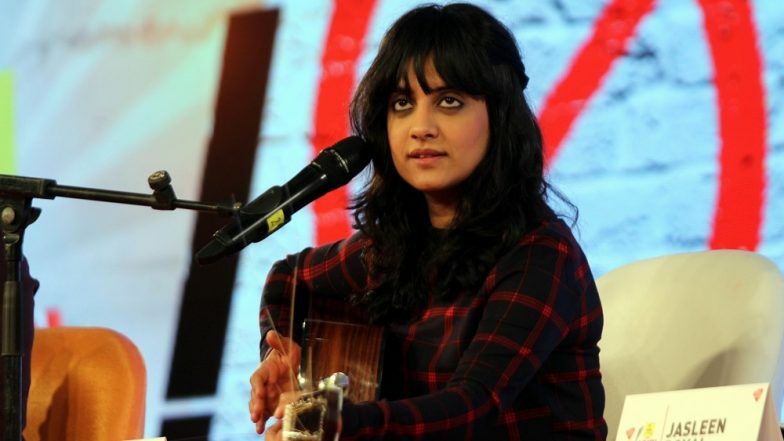 New Delhi, February 19: 'Love you zindagi' fame singer Jasleen Royal says it takes a series of projects to get one successful project in hand. "I got a lot of love from people after the release of Love you zindagi song. Every age group knows the song. People started recognising me after that song, but it won't be fair to call that song as a milestone project. "I do not believe in a milestone project. It takes a series of projects to land into a great project. I don't believe in overnight success," Jasleen told IANS via a recorded response. The 27-year-old made her debut in the Bollywood music industry with Sonam Kapoor starrer Khoobsurat. Later, she lent her voice in movies like Phillauri, Dear Zindagi, Baar Baar Dekho and now she has sung for Gully Boy and upcoming Akshay Kumar starrer Kesari. Before stepping into B-Town, she had released three singles - Panchhi ho javan, Mai ni and Din shagna da. On her journey so far, she recalled how she used to save money from her gigs to release her first single. "I am grateful for how things have turned out. If I look back at my first single Panchhi ho javan, which was a zero budget song, I still remember how I used to save money from my gigs. I would get Rs 7,000-Rs 8,000 from my gigs and then I saved the amount to record my first single. "I put it (single) on YouTube, and then it reached to many people from the industry and then I got an offer for 'Khoobsurat' ('Preet') and that's how one thing led to another. It was not an overnight shift. It was a gradual process." Jasleen had also appeared in the first season of reality TV talent hunt show India's Got Talent. In that show, she was given the tag of a one-woman band as she is able to collectively play different musical instruments while singing. "I think it's funny and interesting how I got the tag! Kirron Kher mam called me that when I was a contestant on 'India's Got Talent' and it stayed with me," she added. Salman Khan in Inshallah, Shah Rukh Khan in Dear Zindagi – Alia Bhatt and Her Unusual Onscreen Pairings in Bollywood!